What Are the Challenges When Creating a Change Management Plan? Home » Change Management » Change Management News » What Are The Difficult Sides of Change Management? What Are The Difficult Sides of Change Management? For many years, organizations have faced difficulties when transforming their business processes, environment, or organizational culture. Today, this has never been more relevant, where digital evolution has birthed a tough landscape to adapt to. Organizations need to grow with the times, but change without proper planning can have disastrous consequences. Fortunately, change management exists to facilitate business transitions, and combat an otherwise unorganized approach to progression. Changing organizational culture and attitudes is the work of influential leaders, whose willingness to embrace change filters through the business. With this being said, too often a change management plan will fail, because the process is far more complex than it seems. 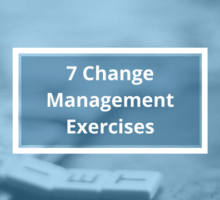 With so many viewpoints on what’s most important for change, using a combination of these will spread your resources thin, compounding rather than improving the turmoil that surrounds change. There are four influential factors for change: Duration, Commitment, Integrity, and Effort. These should be embedded in your change management plan, understanding the problems they can cause when not addressed sufficiently. By identifying challenges during the planning process, you can combat issues before they occur. Prioritize the importance of the following factors and you’ll be positioned to influence change in your organization. Time restraints can place restrictions on your change management plan. If you’re too concerned with duration, change is less likely to occur. If an initiative takes a long time to progress, that doesn’t mean objectives will be forgotten. Windows of opportunity will remain firmly open, and despite contrary belief, key supporters of change will retain enthusiasm. Long projects are actually more likely to succeed, providing they’re reviewed regularly. Time between reviews is more crucial to a project’s success than its life span. Change management strategies should be reviewed bimonthly to avoid complications and address current issues. This gives ample opportunity to evaluate the execution of projects, bringing attention to new risks and identifying gaps. You can also monitor progress, assessing whether you’ve hit milestones or not. If your change management process has made sufficient headway, you can proceed as anticipated, but if not, you can flexibly adjust requirements. Additionally, you should address whether meeting milestones has achieved the desired effect, and how each accomplishment will determine the next phase of development. There are two distinct groups who must commit to change: Influential executives and those responsible for the day-to-day operation of new processes. When high-ranking members of staff are on board, a trickle effect is experienced throughout the organization. If staff perceive leadership as reluctant to accept change, they will follow. As a leader, exceedingly talking up your initiatives will clarify you fully support transformation. A failure to communicate the need for change can endanger your project’s success. Commitment from top management can reduce errors, improve cycle times, and cut costs. Change managers are a crucial liaison between executives and regular staff. Without their communication efforts, those most affected by change on a grass roots level are left alienated. By regularly reaching out to staff, they can become champions for new ideas by contributing valuable input. Regular meetings will help initiatives gain a new lease on life. Employees are often so busy with their everyday duties, meaning additional effort is required to meet change objectives. This is why it’s common to observe resistance to change, because staff are already frustrated by overflowing demands. Delegate accordingly and calculate how much extra work employees will need to do. No employee should ever be asked to do more than 10% of their current workload. Simple metrics can be used to determine whether introducing additional workloads will negatively influence employees. If so, poor performance will rear its ugly head. By reviewing projects and ranking which ones are most critical, staff can prioritize some and demote the importance of others. This will free up resources to continue with day-to-day functions. Alternatively, companies can hire temporary workers, while allocating staff who are well-suited to change management projects. These are all issues that should be assessed prior to initiating transformation efforts. In this context, integrity is the reliability of your team. Can you trust your staff to fulfill company objectives? Though no team is flawless, your business should have enough integrity to meet your goals for change. Companies should free up resources to focus on change problems, while ensuring day-to-day operations don’t suffer as a result. This means employees will have to go that extra mile, with an appreciation their hard work will pay off. Project teams have considerable responsibility, so must be led with integrity. This involves clarifying roles, accountability, and commitments. Identifying the best talent for change projects involves assessing your top performer’s skillsets. The performance of your team should be regularly evaluated, with transparent parameters that are made clear from the onset. The most integral member of your change project is the team leader. Never assume your best manager will make a good team leader, especially considering status quo managers won’t necessarily be the best fit for implementing a change management plan.